While we don’t believe in the one-size-fits-all risk assessment templates offered by some fire safety consultants, this short guide will help outline the measures you need to take to perform an effective fire risk assessment, helping protect your staff, your business and meet your legal duties under The Regulatory Reform (Fire Safety) Order 2005. This step involves identifying potential ignition sources, the materials that might fuel a fire and the oxygen supplies which will help it burn. Potential ignition sources are those where sources of heat could get hot enough to ignite material found in the premises. Looking out for indications of ‘near-misses’, such as scorch marks on furniture or fittings, discoloured or charred electrical plugs and sockets, cigarette burns etc. can be a useful way of spotting hazards you may have overlooked. Anything that burns is fuel for a fire. Material which will burn reasonably easily and is in enough quantity to provide fuel for a fire or cause it to spread to another fuel source should be identified. This applies to contents, fixtures and fittings and also to structure and materials used to construct or line walls and ceilings such as polystyrene or tiles. How these fuels might contribute to the spread of fire should be identified. Finally, it is important to identify sources of oxygen that fires need to burn. Air supply generally falls into one of two categories: natural air flow through doors, windows and other openings; or mechanical air conditioning systems and air handling systems. In many buildings there will be a combination of sources, which will be capable of introducing or extracting air to or from the building. Recognising the various sources of oxygen in your building could provide you with the upper hand help when it comes to tackling blazes. 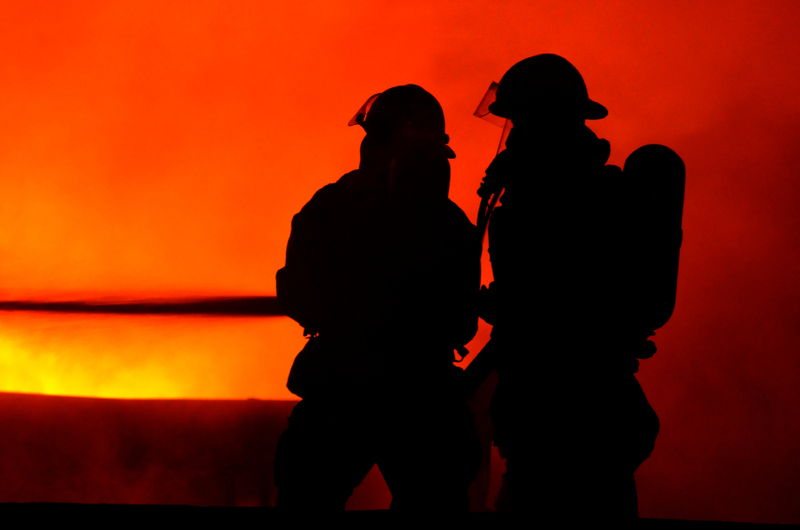 Fire can have a devastating impact on human life, as you can from these five devasting industrial fires, and it is therefore vital to make an assessment of those persons at risk if a fire occurs. This involves identifying the number and location of people working and other persons who frequent the premises such as visitors, customers and contractors. It is also important to take into consideration people who may have difficulty evacuating the premises promptly, such as elderly customers, disabled people or parents with children, as well as noting staff who work alone, such as cleaners and security staff and anyone who may be in isolated areas such as maintenance staff. This step will make up the bulk of your risk assessment. Firstly you need to evaluate the likelihood of a fire starting. The premises should be critically examined to identify any potential accidents and any acts or omissions, which might allow a fire to start. This should include situations that may present an opportunity for deliberate ignition. You also need to consider the consequence to people from a fire starting in the building, as well as the extent of the actual risk to those people if a fire starts and spreads. Once you have evaluated these risks, you then need to set about removing them (if reasonably practicable to do so), or if the hazards cannot be removed, measures should be taken to reduce the risks. This should include removing or reducing sources of ignition, fuel and sources of oxygen. It should also include removing the risk to people from fire. Remember, the level of fire safety measures provided in premises should be proportional to the risk posed to the safety of the people on the premises. The higher the fire risk, the higher the standards of fire safety measures required. Having carried out a fire safety risk assessment in relation to the premises, the findings should, in some circumstances, be recorded, including any action taken. Fire safety law requires information to be recorded where five or more employees are employed (whether they are on site or not) or if the premises are subject to licensing or registration or an Alterations Notice has been issued requiring this. Many businesses are also beginning to recognise the importance of having fully-trained fire wardens as part of their emergency evacuation strategy. Fire safety training courses not only teach staff how to react in an emergency, they also provide a proactive approach to occupational health and safety management, encouraging fire wardens to identify fire hazards and dangers before a fire occurs. A review of the fire safety risk assessment should be carried out regularly. If the findings of the fire safety risk assessment are considered to be no longer valid or there has been a significant change in the matters to which it relates, such as a change to the premises that has affected the risk or the fire safety measures, the assessment should be reviewed. 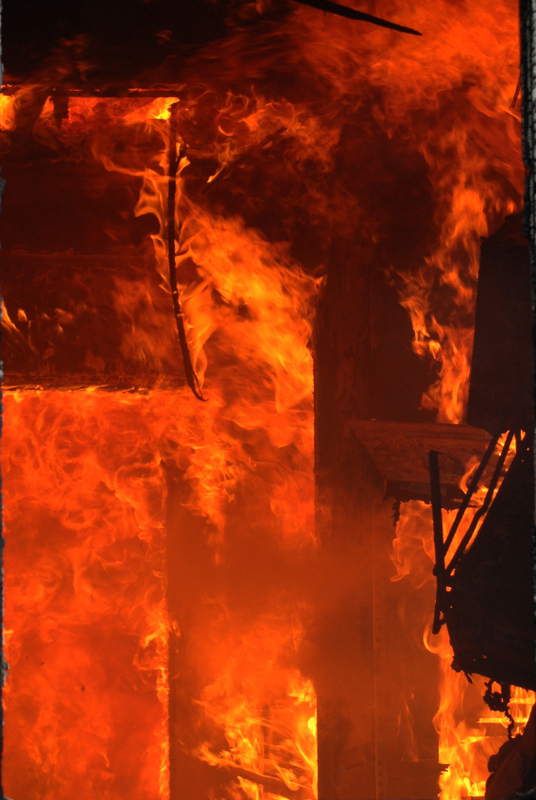 Remember, if a fire or ‘near miss’ occurs, this could indicate that the existing assessment may be inadequate and a re-assessment should be carried out. Identify the cause of any incident and then review and, if necessary, revise the outcome of the fire safety risk assessment in light of this experience. If the Fire and Rescue Service has attended to a fire in the premises, their findings may help inform a review of the fire safety risk assessment. For more information, please see either our Fire Risk Assessment service. Alternatively, why not consider our NEBOSH Fire Certificate, one of the most respected fire safety and risk management qualifications available! Good presentation of 5 steps of fire risk assessment. They were brief and concise .